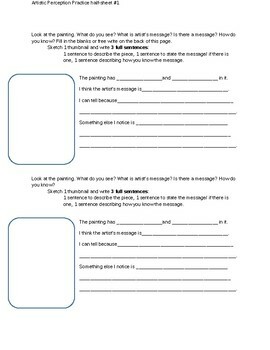 I use this 1/2 sheet to supplement ANY kind of gallery walk primer activity. Works great with the images inthis slide show to practice responding to politically-themes artwork. This can also be used as a critique tool for after a painting project is completed--challenge by choice!